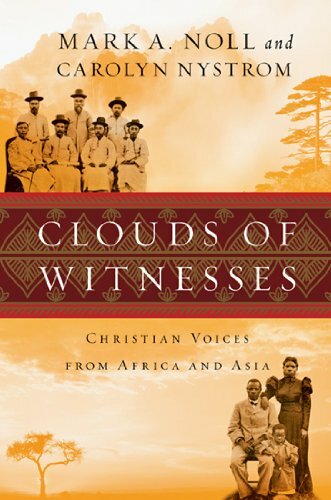 Through nearly a dozen and a half biographical sketches Nystrom and Noll take the reader to Africa and Asia to see the lives of Christian believers in other lands and in other times. These stories span a century from the 1880s to the 1980s as the variety of Christian faith and practice are displayed in the lives of these inspiring individuals. Historian Philip Jenkins has clearly articulated in The Next Christendom: the rise of global Christianity the growth of Christianity in regions like Africa and Asia, but Clouds of Witnesses puts names and faces on that rise and growth. These are stories of the individuals, like Bernard Mizeki, Byang Koto, Wang Mingdao and Song Shangjie, who have lived their faith and sacrificed to spread the good news of Christ’s gospel. It is for this purpose — to encourage missions and evangelism and to document the lives of those involved in these activities — that the Evangelism & Missions Collection exists. This collection was useful in the research of this volume. This book can also serve as a companion to Mark Noll’s award-winning book The New Shape of World Christianity: How American Experience Reflects Global Faith. Noll’s papers are also a part of the Archives & Special Collections at Wheaton College. All of the titles mention herein will help you understand how the Christian faith has been spread, fostered and grown as a result of the Great Commission.